The Windows operating system commands 90% and the 11 year old Windows XP holds a chunk of it. StatCounter says Windows XP market share is around 19% whereas NetApplication says it is around 29%. Both have their own methodology of calculating this. Windows XP End of Life is fast approaching. The deadline for the lifecycle support for one of the most popular operating systems, the world has ever known in about to be reached. In less than 5 months, Microsoft will cease supporting the decade old operating system, Windows XP. While there are many people who still argue that the operating system isn’t completely dead yet, there are many critically important reasons why you need to take a call now about upgrading to a newer operating system like Windows 8, or even Windows 7 at least! 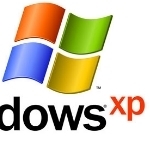 Windows XP is reaching End of Support in 2014 in 5 months. According to Microsoft, Windows XP Extended Support will end on 8th April 2014. Although the Mainstream Support ended on 14th Feb 2009, the Extended Support will end on 8th April 2014. This post explains in detail the difference between Mainstream Support and Extended Support. The Windows Club Windows XP. permalink. I added a ssd drive to install windows 8.1 for internet work. Off line I will tell the bios to load xp and I'm off to work with office 2000. I hate to go to win 8.1 because we have to build a new computer. Now is the time to upgrange cpu and motherboard then go to win 8.1, which I hate. I have one computer operating with dual operating systems so far but more to come Dual systems are obtained with the use of the Bois and second drive with otther system on it.. I'm sure glad that I only have about 10 out of 300 more XP machines left to image. Thank goodness for WDS! XP till death do us part !! How do I install windows 7 into my computer? I refuse to give up on as great OS like Windows XP. Microsoft got it right with that interface. Windows7,8 are ugly and overdone. No problems with XP so far. Tried 7 and 8. What a mess. Just another reason to move away from XP by April 14th. Sad but necessary. Scare mongering to give Microsoft more profits! If Microsoft really wants everyone to upgrade then bring the price down to $25 for a limited time, and stop being so greedy!